Ella Hartsoe is the current President of the Association of McGill University Support Employees (AMUSE), and Catherine Jeffery is the current Chair of the Board of Representatives at AMUSE. Major conversations about labour are happening on campus. While “value your labour” has been a rallying cry, and a consistent reminder among friends for a while, the social work students’ strike in the fall reminded us all of a pervasive campus truth: none of us can graduate without working for free. This is not a new concept, but one that is worth reflecting on intentionally, as many before us have done. When we talk about labour in this article, we’re talking about work both in a formal sense (for example, somebody having a secure, waged, and possibly unionized and protected job) and an informal sense: it can be school work, work to keep a space clean and running orderly, activist work (like making posters or going to meetings), and much more. Within our definition is also time and energy that goes into caring for and collaborating with others, which could be called “care work.” This is the way we define labour, but it can also be defined differently; the main point we want to make is that people do labour every day, even if they don’t submit a timesheet or call it “my job.” Precarious and casual work are, broadly, kinds of work that are done without the protections of unions, lack insurance of steady hours, often are done in unsafe workplaces, and are generally devalued. Both of us are excited by these conversations about workers’ rights and precarious labour, having spent time organizing at the Association of McGill University Support Employees (AMUSE), the labour union which represents 2,000 temporary, casual, and non-academic employees at McGill. We are interested in the ways that talk about labour can expand beyond its usual limits, and include honest conversations both about the ways McGill consistently fails to prioritize casual (especially student) labour, while also noting the ways in which student organizers sometimes forget about workers’ rights in our spaces. We want to seriously ask: what does putting labour at the centere of our analysis say about this place? How can it deepen our understanding of marginalization in an isolating school dominated by white, wealthy students? Why are we not talking about the labour that Black and racialized women are carrying out on this campus more than others? And what could McGill look like if all of us had access to an understanding of labour which went beyond the usual understanding of what we consider “work?” Basically: what if workers knew our worth? McGill directly profits from unpaid and underpaid labour, done by both students and members of the larger Montreal community. This looks like the plethora of clubs and services offered at McGill that give it value and draw prospective students each year. Networks such as the Black Student Network (BSN) and Muslim Students’ Association provide valuable sources of community. Services like SACOMSS, Nightline, and Peer Support Centre offer vital support. 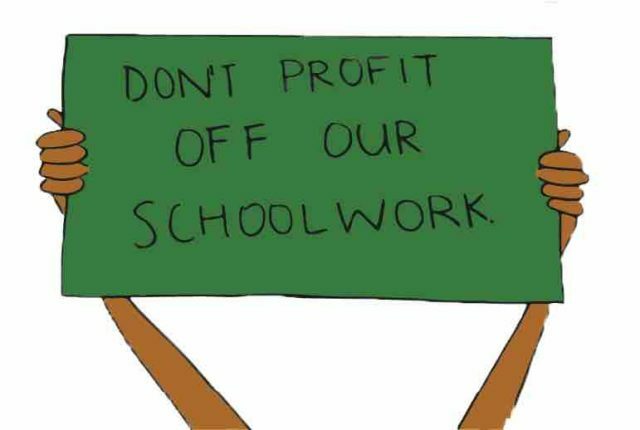 While some students doing this work will get paid, they are still unevenly paid, often with long delays between paycheques and reimbursements — and almost none of these student workers are protected through unionization. As well, a large number of these roles are taken on by women of colour and other racialized and gender oppressed groups. These are only a few examples: we simply want to stress that the majority of “student life” at McGill is driven by student labour. And instead of aiding in this work with extensive resources, McGill requires these organizations to continually justify their existence. A lack of physical spaces for these groups to organize and endless fee levy cycles are just some of the barriers imposed on these organizations. Students face many hurdles in this kind of work, operating in a landscape of scarcity which McGill consistently refuses to acknowledge. Student politicians are severely overworked, and because of lacking capacity, often fail to hold the University accountable in the various ways it cuts back on resources for its students. Instead of representing student interests and confronting McGill’s austerity tactics, scarcity mindsets and language are justified to students as a necessary evil. In addition to student groups, we also think it’s important to expand our understanding of McGill’s role in the prioritization of the upperclass beyond the boundaries of campus. While McGill prides itself on being located in Montreal, it consistently profits off of working class communities of colour. McGill and its cohort of wealthy, white students rarely reflect on the ways that the University promotes the rising cost of living in this city. This is in addition to gentrification processes in many Montreal neighborhoods, which McGill students live in. As Roxane Gay noted during her Homecoming Keynote speech at McGill last fall, Montreal is a city with a large Black community, many of whom are Caribbean immigrants and working class. Yet the majority of people sitting in the hall where she spoke were white. She highlighted how McGill has done little to extend invitations to communities of colour, specifically Black communities, in the city it resides in and profits off of. This is not an accident. This is similar to many students’ ignorance and the administration’s lack of acknowledgement of the Kahnawà:ke and Kanehsatà:ke communities that are close to McGill’s campus, a campus which resides on the unceded territory of the Kanien’kehá:ka. The land on which McGill resides is a stolen resource and is part of a larger reality of the concentration of wealth in the hands of settlers. We see then, how whiteness and wealth are inextricably tied together here. Thus, McGill profits off of both communities in Montreal, as well as the students attending McGill who comprise much of its casual working force. Yet, this labour is rarely talked about. We think this might be because many students on campus are not thinking about class when thinking about being in Montreal or being students. This is a mistake, because by focusing on the ways in which McGill is withholding resources, especially wages, from the large amounts of folks working in its sphere, we can ground administrative shortcomings in tactile numbers. Because it is more profitable for the University to continue to deny the fact that our work is vital, we need to all admit that we’re working for free and use this to our advantage. An example of this is when we think about student demands for a fall reading week — students often justify it by saying that we work hard and we deserve a break. To this, the University throws up its hands and claims they are powerless. This is because the University has shown it does not care about our work. Our argument would be stronger if we all got on the same page about the value of our work, and wielded the threat of a collective strike or other disruptive action. Trying to prove to McGill that we “deserve” a break will never work. We should instead argue that we should be given one because if we are not, there is the potential that we can simply stop contributing the monetary value that we currently do. Strikes can be genuinely effective bargaining strategies, even if they don’t achieve their demands right away. The social work student strike is a great example of this. While the University is not paying for social work students’ internships yet, the strike brought to light the labour that has been taken for granted by many people on campus — not only the administration, but other students, too. In this sense, even if demands are not immediately met, collective action brings discussions about the value of work to the forefront. Finally, it is also important to remember that there is a legacy of student strikes at McGill. We need to research, remember, and rearticulate previous students’ demands in order to access better arguments in the struggles we are currently fighting for. Skipping Class: Who Has To Work? The reality is that we are all working. We go to class, spend time doing readings, writing papers, conducting research, and submitting ideas and findings. However, we are not paid for this work; we pay to do this work. In turn, many of our ideas contribute to our classmates and supervisors’ understandings of material, which results in collective learning, awards, research, and publishing of work which, again, we are never paid for. The argument against waged academic work by students is that we “need” this time in school so that we are “ready to work” when we graduate. There are two problems with this thinking. First, if it is true, that means that students are all being required to pay for their own job training. This is unethical, and contributes to the overwhelming predominance of wealthy students on campus. Many higher paying jobs require unpaid work experience, which is only open to students who can afford to live on alternate resources, like familial wealth. Secondly, many of us are already working while getting our degrees,even before graduating. For student workers, we develop a kind of living which allows limited time to grow interests or hobbies outside of being a student and being a worker. This lack of time limits our autonomy and makes it incredibly hard for us to make it all the way through our degree. It is unacceptable that students on this campus are forced to choose between a night of studying and an extra shift to buy groceries. You may not think this is a real dilemma that student workers face, and you would be wrong. You would also be articulating a kind of worldview which permeates almost every space on campus. Because while all of us are working, not all of us are workers in the same way. Even the simple question, “what will you do after you graduate?” is a question that many McGill students ask one another. The assumption that there is something that a person must do after they graduate is ridiculous, because it is obvious what many McGill graduates will do after we graduate. We will work just as we worked before getting into university, and just as we continued to work through university in order to pay our bills. The advice one of us got from an older student that “sometimes you have to work a job for a bit after graduating, and that’s ok!” is preposterous — the almost constant assumption that McGill students will only start working after graduation and that we will only work certain kinds of jobs temporarily is a form of middle- and upper-class understanding of what work even is. In the same way that McGill is a predominately white institution, it is also a place full of wealthy upper- and middle-class students. Upper-class ideals show up in the form of worrying about “real” jobs, but also in the absolute silences around money and class. 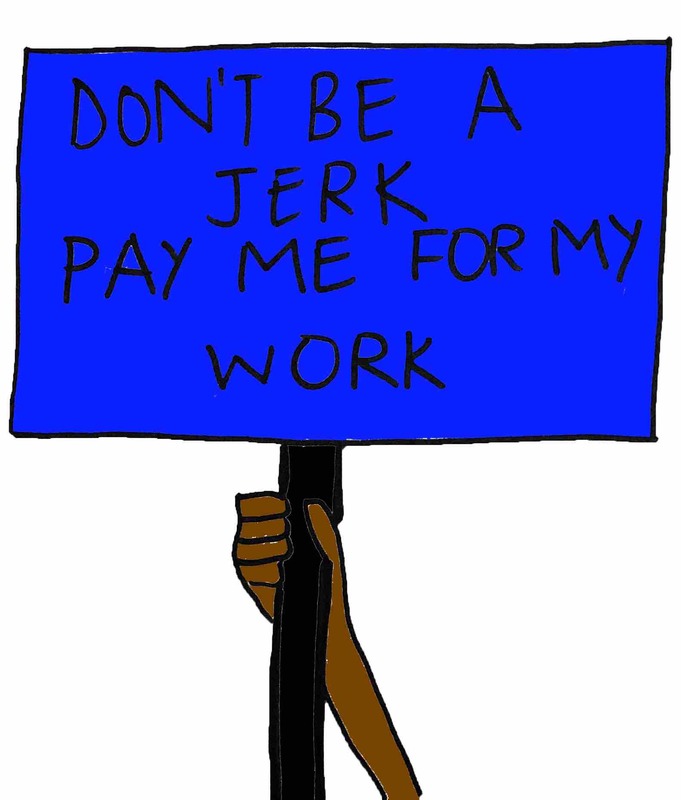 It can be disorienting for student workers to be expected to work for free, and be dismissed when we request more. For example, one of us applied for an internship position under the impression that at least some of its cost would be covered. When we found out we would have to live in a major city for a number of months with no income (because students are extremely discouraged from working on the weeknights or weekends when they have an unpaid internship), we withdrew our application after being accepted. We were then treated as immature and pressured to take the position anyway. The idea that someone could accept a binding position with the real possibility of it being unpaid is absolutely wild — but at McGill, it is accepted as a necessity and norm. We also have to be honest about how these norms permeate into organizations and spaces on campus which try to be accessible and politically radical. We need to talk about the labour of certain organizers in comparison with others. Women of colour are expected to carry out more underpaid and free work than others. When it comes time to picture and praise student leaders on campus, these conversations consistently fail to place racialized women at their centre. This is particularly frustrating when we think about the nature of the work many women of colour are doing. Often, it is work that is paid less or thought about as less important because it is considered to be for women and for people who are not white — we can say that this work is racialized and feminized. Specifically, we are talking about the labour of women of colour who are leaders at McGill, but are almost constantly made invisible to the broader (white) community. We are talking about the women of colour doing care work in McGill residences as Floor Fellows who are often expected to pull more than others they work with. We are talking about the women of colour who take on huge amounts of work because they fear if they do not show up, no one will. Large portions of those working nonacademic, casual, and temporary positions that AMUSE represents are women of colour and other racialized and gender oppressed groups. More broadly, we would like to stress the importance of conversations around women of colours’ boundaries and self care, which are often dismissed, while other more privileged workers are allowed to take breaks to look after themselves. In general, student activists at McGill should think about who is involved in their organizations and who is not. 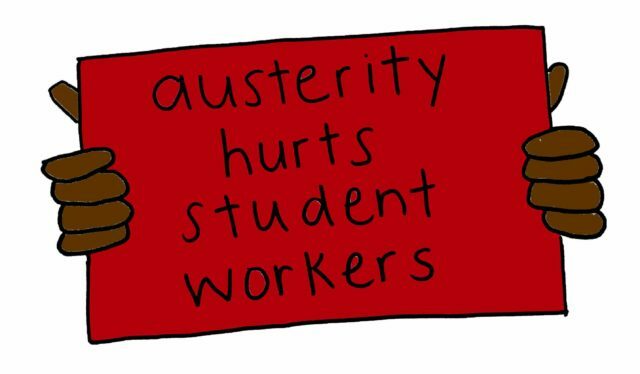 We should all be thinking about who is not around because of racism, ableism, transphobia, misogyny, and queer-phobia— but we would stress that we have also not seen nearly enough reflection on how to involve more low-income and working students in these spaces, especially otherwise marginalized underpaid workers. In general, we need to ask: who is able to spend all Saturday at a demonstration because they don’t have to go to a job? Who can, by some miracle, spend hours on Slack and Messenger and in endless meetings strategizing? Who has to worry about loan and visa requirements? Who can write articles like this? Who understands the codes and languages of upper-class dominated activism? Who can speak at your event for free? Who can travel, who can go to workshops, and who can start projects without certainty of their end products? Who can accept stipends as wages? Who can afford the opportunity cost of organizing? We recently heard a friend of ours say, “but if the social work students get paid for their internships, that would mean all of us… all over campus… would have to be paid.” Exactly. We hope that all of us can start envisioning a world in which we can think critically about what is not being talked about here at McGill. If we were to centre conversations about labour and class when we talk about McGill’s shortcomings, we would be able to see that McGill’s devaluing of student labour, resistance to recognizing its profiting off of Montreal’s working class communities of colour, and casualization of labour and lack of resources for students are not accidental. They are not random inefficiencies, and when considered directly, magnify other serious problems with the University like institutional racism, inaccessibility, and participation in settler-colonialism. This is not to say that there isn’t power in other analyses, but that a class analysis has specific benefits because of the tangibility of money, especially when combined with others. This is not a metaphor so much as a reality: without casual, precarious labour on campus and in this city, McGill could not function. We should consider how much power is in our work. First, an understanding of basic ideas around workers’ rights is important. It is impossible to imagine a world that engages anti-oppression, gender discourse, and anti-racism without workers involved. A radical vision of labour needs knowledge to go along with it, and labour unions are a place to start. Do you know what a labour union is and what it is that we do? 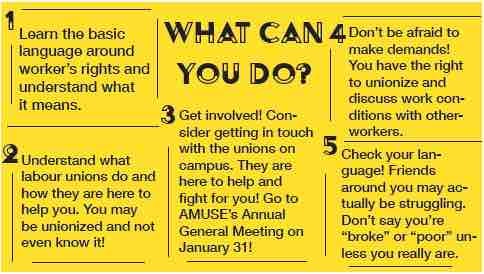 Consider getting in touch with any of the unions on campus (ideally yours) and coming by the AMUSE/ AMURE Labour Library. If you’re a member, come to AMUSE’s Annual General Meeting on January 31! Think about checking for yourself and friends if you are unionized or not. If you are, check out your Collective Agreement on your union’s website, or get a copy in person. This document outlines all your rights, some of which you might not know about. When your friend mentions a bad work situation or you find yourself overworked and in an unsafe environment, contact your union. Their job is to help you. Bring the topic of waged labour, timely pay, and unionization to the group you spend time working for, and open up this conversation long term (we are looking at you, faculty societies and SSMU!). Demand more resources from the administration, resist pointing fingers when we are all in a landscape of scarcity, and remember who keeps money in the hands of the few! Include price as an accessibility point as often as possible, and make a point to talk openly about the privilege you might have when it comes to class. Don’t say you’re “poor” or “broke” unless you are. Talk openly about money, take your poorer friends out to coffee and lunch if you can, consider splitting rent differently, and reflect on the passing privilege you might have while being a poorer student who others see as wealthier. Learn and talk about class and race, class and gender, class and ability, and more intersecting oppressions. Complain! Strike! Walk out! Value your labour! We would like to thank the folks who currently work around AMUSE and AMURE for teaching us so much and working beside us day to day. Credit is also due to the many organizers who worked on these issues long before we did, especially at these unions — we have learned and continue to learn so much from you!